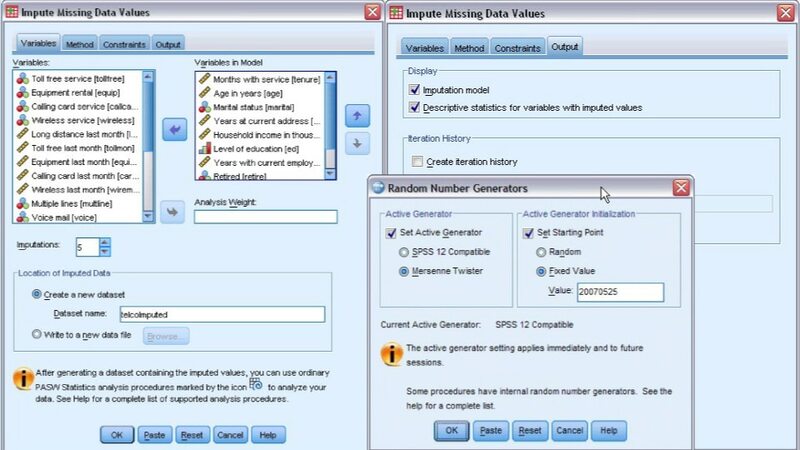 Use IBM SPSS Missing Values to impute your missing data and draw more valid conclusions. As a module of IBM SPSS Statistics, it is a critical tool for anyone concerned about data validity. Examine your data to uncover missing data patterns, and then estimate summary statistics and impute missing values through statistical algorithms. Build models taking missing data into account and remove hidden bias. 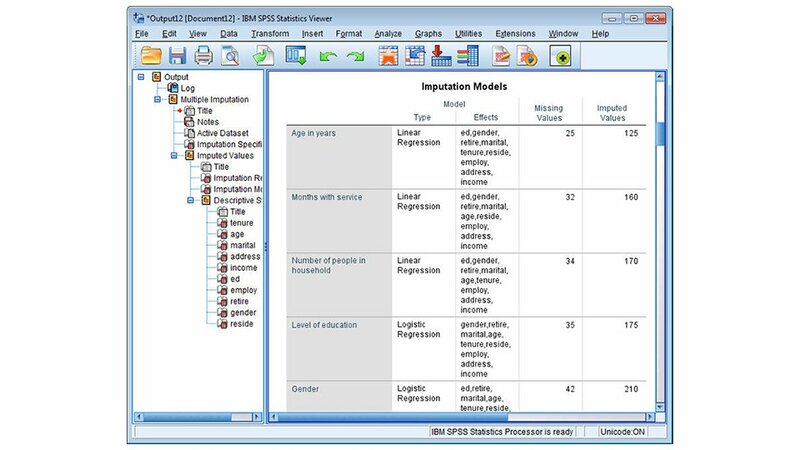 Survey and market researchers, social scientists, data miners and other professionals rely on IBM SPSS Missing Values to validate their research data. Examine data from different angles using diagnostic reports. 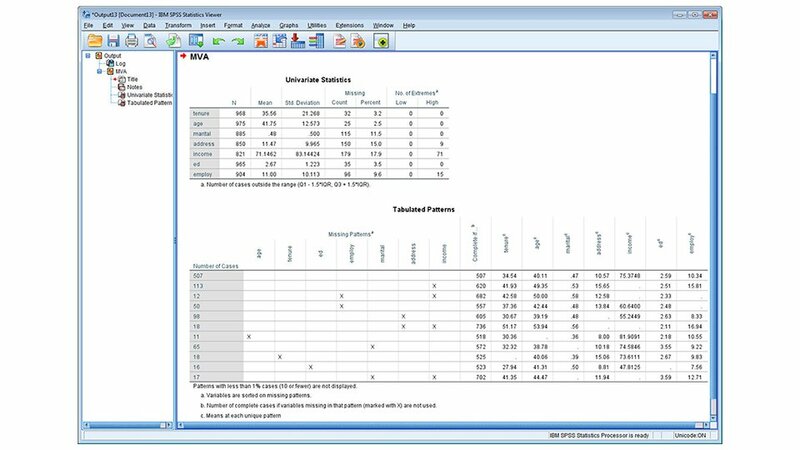 Determine the extent of missing data and any extreme values with a case-by-case overview. Use a multiple imputation model to understand patterns and replace values; it helps you choose the most suitable method. Use linear regression or expectation maximization algorithms among others. Display missing data for all cases and variables. Determine differences between missing and non-missing groups. 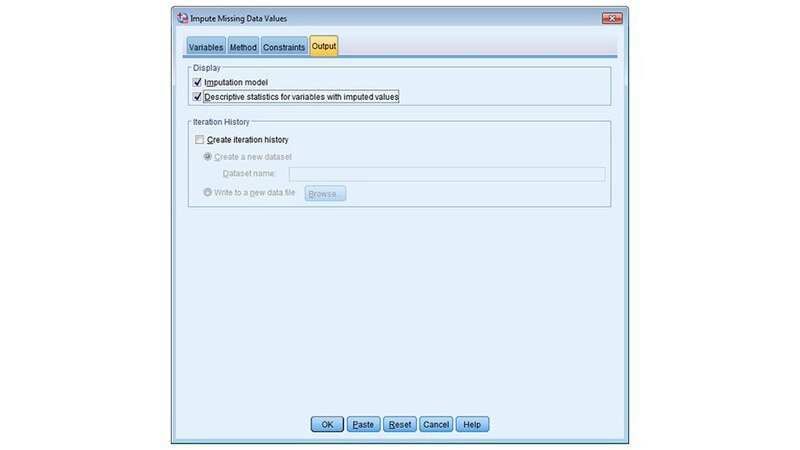 Assess how missing data of a variable relates to missing data of another.